Take advantage of this guide and find some of the best horseback riding trails in Maryland. For both the beginner and the advanced rider, these locations are filled with beautiful scenery and tons of fun! 10-miles of horseback riding trails! 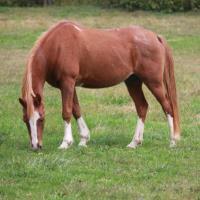 Happy on Hooves is located on a beautiful 30 acre ranch which spans both Carroll and Baltimore counties in Maryland. They have created over 10 miles of trails through upland terrain, rolling hills and forestland. The trails lead you through open pastures, streams, woodlands and much more. Their trails afford the opportunity to safely view wildlife on horseback. There is no experience needed to go horseback riding at Happy on Hooves, they will show you the ropes! 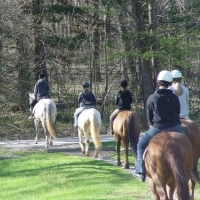 Basic Trail Ride is 60 minutes long and includes instruction and equipment. Basic Trail Rides are slow-paced and are geared towards beginners or those who want to spend the afternoon relaxing. Deluxe Trail Rides are 90 minutes long, includes instruction and equipment, and you are guided through various terrain at a slow pace. Saddle & Sip Rides are 1 hour long and end with a wine & cheese tasting at a local winery. Extreme Trail Rides are geared towards more experienced riders as it is a fast-paced ride through varied terrains. Visit the website for ride availability and more information on the different trail rides and events offered at Happy on Hooves. 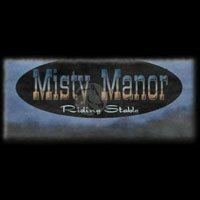 Misty Manor Riding Stable adjoins thousands of acres of picturesque Maryland state parkland, with access to many miles of beautiful wooded trails. Many of these trails offer gorgeous views of flowing streams, forests, cliffs and the Liberty Reservoir. Reserve a spot to take a one, two or three-hour trail ride for groups of up to 25 people. Misty Manor riding stables can provide a horseback trail riding experience for every skill level, from experienced equestrians to those with no previous experience whatsoever. 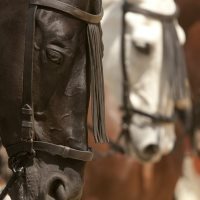 Group and individual lessons are available for those with an interest in horsemanship. Children are invited to come to Play Day at Misty Manor for an afternoon of horseback riding fun! The Graham Equestrian Center is a non-profit organization devoted to sharing knowledge about horses. 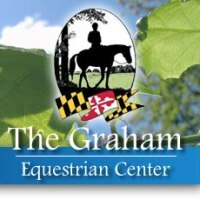 Located on the edge of Gunpowder State Park in Maryland, the Graham Equestrian Center aims to inspire a love of horseback riding in everyone. They offer group and private lessons every day of the week throughout the year. They provide hour-long instruction with riding time as well as education in horse grooming and care. Their experienced team is ready to instruct beginner through advanced level riders. They also host summer camps, clinics and competitions. Visit their website for more information. "The friendliest barn in town!" Woodland Horse Center is Maryland's premier center for horseback riding enthusiasts of all ages and levels. Learn to ride or hone your skills on 25 acres of riding rings, stables and trails. Woodland Horse Center offers so many exciting programs for all ages. Pony Pals lessons are perfect for children ages 5-7. Children's lessons are available for beginner, intermediate and advanced riders ages 8-15. Riders who are 16 and older are welcome to try adult lessons. Woodland Horse Center also features Horse Camps in the summer and the Saddle Club after school program. Visit their website for more information. 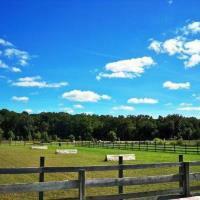 Reddemeade Equestrian Center is owned and operated by dedicated professional competitors. The expert staff use their horsemanship experience to provide students with top-quality instruction at this MD horse riding center. Enjoy 40 acres of rolling Maryland farmland, miles of beautiful trails and both indoor and outdoor rings. 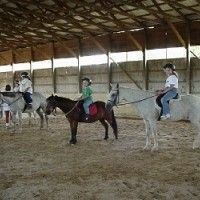 They offer lessons for children and adults on well-trained and talented horses. Lessons will teach core skills, such as balance, control, confidence, ring etiquette, trail riding, introductory jumping and an introduction to dressage. Every Saturday at 1:30pm, you are invited to a free introductory lesson. This gives interested riders an opportunity to see the farm, meet the instructors and experience the fun of horseback riding. In 2000, former teacher Kelly Howard pursued her dream to open a horse farm and riding center. 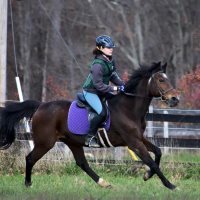 She has utilized her teaching skills and experience to develop a unique riding program for children of all ages and abilities to discover a passion for horses. Kindred Spirit Horse Farm is licensed with the Maryland Department of Agriculture Horse Industry Board as a boarding, training and riding instruction facility. It is also a licensed summer camp. 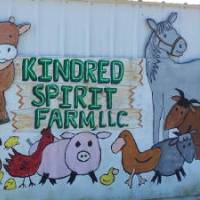 Kindred Spirit Farm offers riding lessons, camps, birthday parties, field trips and clinics. They are also home to a 4-H Horse club that regularly takes part in community service events and activities. Visit their website for all of the cool things happening at this Maryland horseback riding farm. 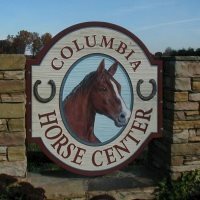 The Columbia Horse Center is a complete equestrian facility offering English riding lessons in Hunt Seat, Dressage, Eventing and Balance Seat. It is one of Maryland's preferred horseback riding centers. Their students consist of children and adults, beginner through advanced. They also offer the Equi-Lease Program, camps, boarding, shows, horse sales and much more. 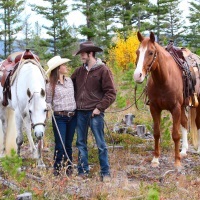 The Columbia Horse Center emphasizes a safe and friendly environment for riding. They offer events for serious competitors to novices looking to do "horsey things." They even offer a special program for home-schooled children. Visit their website for more information. Have fun at City Ranch Inc. The City Ranch Inc. is a local organization that helps inner city kids through horseback riding. Since its founding in 2007, The City Ranch has been dedicated to giving urban children lifelong memories of horseback riding experiences by providing accessible and affordable riding programs to the greater Baltimore community and surrounding counties. While most programs around the country take the children out of the city, City Ranch has reversed this model and brings the inner city children instead. Rather than remove children from their environment, City Ranch helps to create safe opportunities WITHIN local neighborhoods. Visit their website to learn more about this great organization. Located on over 80 acres of beautiful Maryland fields and forests, Equilibrium Horse Center is dedicated to teaching the art of classical riding, equine education and horsemanship. Students of all ages and abilities are welcome to take advantage of the various lessons, camps and programs offered at Equilibrium Horse Center. New students are required to take a 30-minute private lesson, which allows instructors to assess the students' ability and give appropriate feedback. They offer camps during the summer and school breaks, as well as a non-riding farm camp where students will learn about horses and farm life. They also offer special Girl Scout programs, allowing Girl Scouts to meet their badge requirements. Equilibrium delivers a unique combination of function and charm to provide the very best equine instruction in Maryland. Gunpowder Stables is a cozy 10-acre farm in Maryland. They are proudly family-run and operated. They share your love and appreciation for horseback riding. In addition to 30 and 60-minute lessons, they offer both ring and trail pony rides for young horse lovers. This intimate farm is perfect for younger kids to grow in their love of horses, as well as learn valuable horsemanship skills. Families who take lessons at Gunpowder Stables appreciate the amazing staff who connect with each child and share their love of horses. Their patient and skilled staff make even the youngest and most inexperienced riders feel comfortable. Visit their Facebook page for more information on one of Maryland's best instructional horseback riding farms. 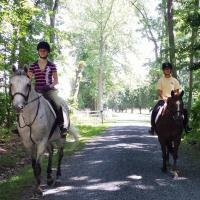 Guided trail rides in MD! This MD horse farm was established in 1978 by Nancy Dawn Ashway, a life-long equestrienne. 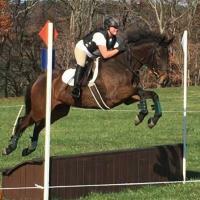 She is a Hunt Seat instructor, as well as a USEF "R" National Judge. Allow her to share her passion and expertise in the field of horseback riding with you. See beautiful St. Michaels, MD on horseback. This 70-acre horse farm has wooded trails, open pastures and horseback riding along the waterfront. Join them for a guided trail ride throughout the farm. Country Comfort Farm offers private, semi-private and group lessons, as well as equine training. Their schooling clinics feature interesting seminars and instructions on horseback riding technique and practice. Visit their website for more information on horseback riding in St. Michaels, MD. 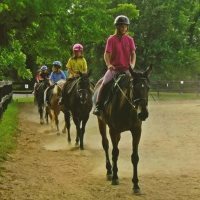 Whether you are looking for group lessons, private lessons, summer camp or just a day riding through scenic Maryland, Wheaton Park Stables invites you to join them for equestrian fun. Their summer camp is incredibly popular, and they offer both flat and jump sessions for beginner through advanced levels. For the littlest riders, Wheaton Park Stables has a Pony Pals program for children ages 3-7. For those who are just looking to interact with horses, visit Wheaton Park Stables on Sunday afternoons. They offer pony rides for children from 11am-12pm. They also offer year-round trail rides throughout the park at 1pm, 2pm and 3pm. No experience is needed for these horseback riding events. Visit their website for more information about this accessible and friendly MD horseback riding stable. Come ride the trails of historic and scenic Harper's Ferry, MD. Travel through the Blue Ridge Mountains, along the banks of the Potomac River or past the C&O Canal on the backs of beautiful horses. Riders will experience Maryland's best nature and wildlife. Elk Mountain Trails offers different packages throughout the year. The Mountain Top Trail Ride is a fun and safe riding experience for children and beginners. The Experienced Horse Enthusiasts Ride takes expert riders through the woods at a brisk trot and canter. Elk Mountain Trails also offers meal rides. Come by for omlettes, French toast and coffee during the Sunday Morning Brunch rides. Spend four hours along the Potomac River and enjoy lunch. On Saturdays during the full moon, enjoy a romantic moonlight dinner ride. These meal rides are perfect for a family fun day or a romantic date. Stay overnight at the bed and breakfast! 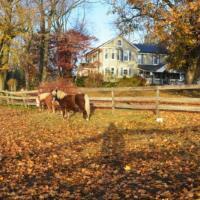 Fairwinds Farm and Stables is the best place for horseback riding in Maryland. Husband and wife team Ted and Joann Dawson invite you to visit their farm and see all of the exciting things Fairwinds has to offer. This MD horse farm offers riding lessons, summer horse camps, pony rides, trail rides, hay rides, carriage rides and programs for scouts and 4-H enthusiasts. Fairwinds is unique because they have a quaint Victorian-style bed and breakfast that guests love to reside at. Have a country getaway in Maryland, where you can relax on the farm or take a riding lesson. Fairwinds Farm and Stables is also a gorgeous venue for weddings out in the country. Visit their website for more information. Experience life on the farm! Visit the picturesque Miller Family Farm in the beautiful Pleasant Valley and Backbone Mountain area. Spend a day experiencing Maryland's pastoral beauty at this family-owned horse farm. The Miller Family Farm offers their special Pleasant Valley Dream Rides. 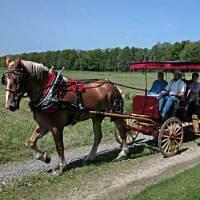 Travel throughout the countryside in a horse-drawn carriage or sleigh. See the Miller Family Farm by taking a fun hayride. Looking to have more farm fun? Tour the farm facilities and learn about life on an Amish dairy farm. Educational and hands-on experiences are included. Hand-feed the cows and get up close to the horses. Please call ahead of time to make reservations. Have a family fun day on this Maryland farm. Visit their website for more information. The Potomac Horse Center offers diverse horseback riding experiences in Maryland. They offer lessons in classical dressage, combined training and a hunter/jumper program. 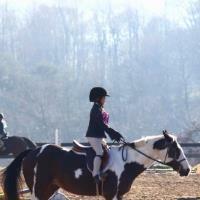 This MD equestrian center features various activities throughout the year, such clinics and horse shows. They offer fun recreational opportunities as well, such as pony rides, birthday parties, trail riding, open houses and therapeutic horseback riding. New clients who are curious about horseback riding can take advantage of a free introductory ride, as well as a 20% discounted mini session consisting of three beginner lessons. This program is perfect for people who are just discovering their love of horses. This MD equestrian center currently operates under the direction of Paul Novograd of the NY Claremont Riding Academy, which allows Potomac Horse Center to continue its tradition of excellence. Located minutes from Ocean City, MD, Holly Ridge Farm Equestrian Center offers horseback riding through scenic wooded trails and picturesque farmland. All lessons are taught by CHA-certified riding instructors. Riders of all skill levels are taught good horsemanship on safe and reliable horses. If you are looking for a fun outdoor excursion, come by the farm any time of the year for trail riding. Ride through majestic pines and cypresses along the banks of the Pocomoke River. The Adventure Trail Ride is a 90-minute trek through the wildlife sanctuary for teenagers, and the Family Fun Ride is the perfect afternoon activity for families with children as young as 5. Visit their website for more information. Take lessons year-round at Kings Valley Stables in Clarksburg, Maryland. This equestrian center is adjacent to beautiful Little Bennett Regional Park, where instructors regularly take students on scenic trail rides. Kings Valley Stables offers numerous riding programs. Take group, private or semi-private lessons. During the summer, they offer horse camps for beginner, intermediate and advanced levels for students at least 6 years of age. Kids younger than six will want to check out the special lead line class offered every month. This is a great opportunity to expose younger children to horseback riding. Scouts can earn badges and pins during their special group outings. If your child is crazy about horses, plan a birthday party at Kings Valley Stable.